[CLOSED] NETGEAR Orbi AC2200 & NETGEAR AC1200 Smart WiFi Router (R6220) NEW!! Thread: NETGEAR Orbi AC2200 & NETGEAR AC1200 Smart WiFi Router (R6220) NEW!! NETGEAR Orbi AC2200 & NETGEAR AC1200 Smart WiFi Router (R6220) NEW!! Hi,As subject, offering brand new in box one of the item below:1. 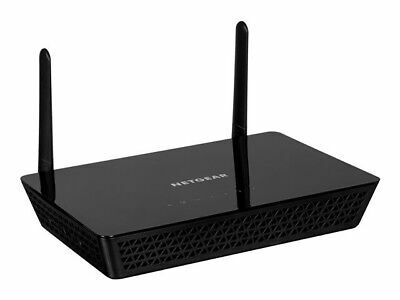 NETGEAR® AC1200 Smart WiFi Router (R6220) [UP$109] - Will give away for $70 (no nego)2. NETGEAR Orbi™ AC2200 Tri-Band Wi-Fi System (RBK40) [UP$599] - Will give away for 500 (can slight nego)I'm re-contracting with my ISP, so if anyone need any of the above item, i could get it during signing up. First come 1st serve, as only 1 item will be sold (depends on demand, which item reserved 1st, i will sign up to that offer, currently both of their offers is acceptable to me).1. NETGEAR® AC1200 Smart WiFi Router (R6220) 2. NETGEAR Orbi™ AC2200 Tri-Band Wi-Fi System (RBK40) So if anyone interested - pm me with your offer or sms - 9Otwo..2five82nine. Can self collect near my block or somewhere MRT on my way to work (to be discussed). Last edited by Djurik; Feb 21st, 19 at 10:57 AM. You might be interested in other items i'm Currently selling: 1.